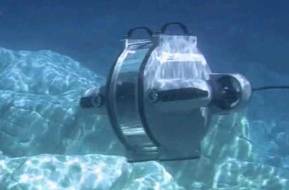 Navigation, positioning and underwater imaging solutions provider iXblue said it has been chosen by the European Institute for Marine Studies (IUEM) to provide 8 Canopus long baseline (LBL) transponders for a geodetic mission off the coast of Sicily. Deployed on the seabed, 2,500 meters below the surface, the Canopus transponders will measure the crustal deformation along the North-South Alfeo faults with a millimeter-scale resolution over the course of four years. Hubert Pelletier, Head of iXblue Acoustic division, said, “Because the Canopus transponders precisely meet the exacting requirements of such a long-term subsea project, iXblue was chosen to provide autonomous and continuous monitoring of the movements of the tectonic plates along a 2 kilometers segment of the North-South Alfeo faults. 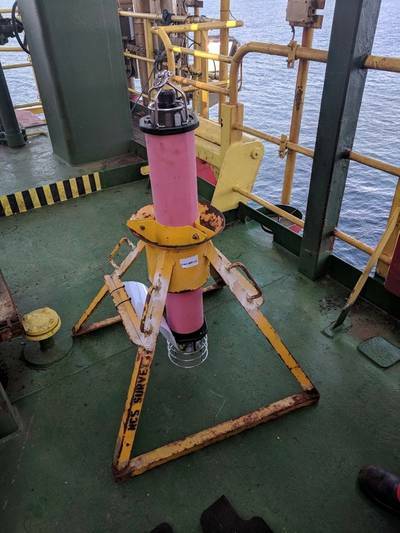 Installed on the seafloor along the faults, the transponders will measure, over the course of four years, the acoustic distance travel-time from one transponder to another to precisely determine their accurate distance. Enhancing iXblue’s offer in subsea positioning solutions, the Canopus LBL transponder was developed in tight collaboration with major scientific partners. Easy to deploy and to use thanks to its user-friendly MMI (Man-Machine Interface), it is especially suited for scientific and industrial applications that require high autonomy, instrumentation, repeatability and accuracy. Thanks to its hundreds of acoustic codes for interrogation and reply, Canopus can be used in the most complex environments without any acoustic interferences. It features underwater acoustic communication between transponders, transceivers and surface equipment and embeds environmental temperature, pressure, sound velocity and inclinometer sensors. Low power consumption (up to four years of battery life in listening mode) and intelligent ping management feature make Canopus suited for subsea operations such as seafloor Geodesy, subsea monitoring, construction or subsea mining.